BERLIN (Bloomberg) -- The homes and offices of Ford Motor Co. employees and suppliers in the German cities of Cologne and Leverkusen were searched today by prosecutors as part of a probe into fraud and bribery allegations. Employees at a Ford unit for remodeling production sites may have accepted payments from the carmaker's business partners, Cologne prosecutors' spokeswoman Christina Pohlen said. In turn, the employees may have approved invoices to overcharge Ford, she said. “One person was arrested, but at the moment, we don't want to comment on who the person is or for whom the person is working,” Pohlen said. Ford's Cologne site, where the European division is based, was also raided. Ford is the victim and has been cooperating, Pohlen said. The case stems from a similar investigation by prosecutors in Saarbruecken, Germany. Cologne started its probe in September. 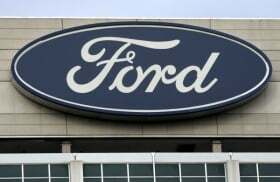 Ford “fully backs” the investigations and is seeking damages from the respective workers, Bernd Meier, a spokesman for the carmaker said. Ford may have suffered a loss in the “single-digit” millions of euros, he said.